Results of the First Three Years of Full Service Community Schools in Paterson. 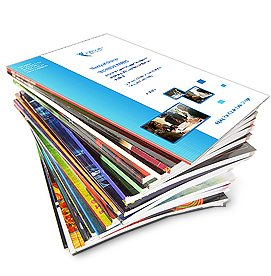 Theory of Change Technical Papers: A Series of Papers to Support Development of Theories of Change based on Practice in the Field, 2013. By Dr. Dana Taplin and Muamer Rasic. Theory of Change: The Basics, 2012. By Dr. Dana Taplin and Dr. Heléne Clark. 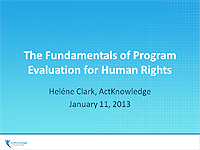 Program Evaluation for Human Rights Organizations. 2013. Intervention Logic and Theories of Change: What are they, how to build them and how to use them. 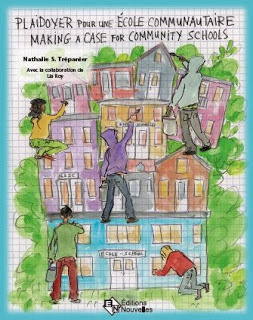 Supporting Young People to Make Change Happen: A Review of Theories of Change, 2013. Schoolyard Playground Evaluation, the Trust for Public Land, New York City Playgrounds Program (2011). The Media Justice Fund of the Funding Exchange (2009). Considering Evaluation: Thoughts for Social Change and movement Building Groups (2010). Process is Powerful: Planning and Evaluation for Media Activists (2010).